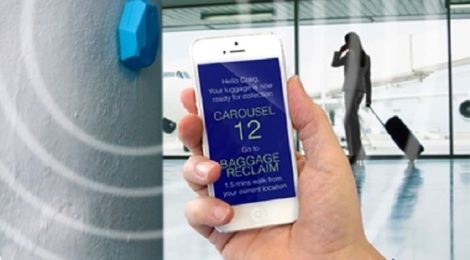 Miami International Airport has become the very first airport in the world to fully utilize the power of beacons. The airport has installed beacons at all entrances, including check-in counters, gates, baggage claim carrousels and even parking zones. By installing beacons throughout the airport, travelers will be able to receive precise information on delayed flights, flight arrivals, boarding times and much more. Passengers at Miami Airport will now have hyper-relevant updates at every point of their journey through the airport. American Airlines has already taken note of beacon’s powerful potential by launching test deployments of the technology at the Dallas/Fort Worth Airport. For example, immediately after checking in their luggage, a passenger will automatically receive a terminal map on their phone, showing them exactly where their boarding gate is. It will even show you how much time it will take you to get there based on your location. We have installed beacons throughout the airport and made them available to all our stakeholders. Now we invite airlines and our other partners to invent new ways to make the passenger experience at Miami even better. 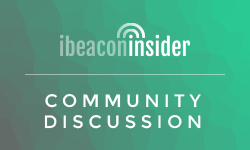 Expect to see more beaconized areas in the near future, as retailers and marketers start to slowly roll out test campaigns to evaluate its effectiveness. BluVision (www.bluvison.com) provided these beacons and related software cloud-management solutions.